Historic TV news anchor, WBA Hall of Famer, and former Wisconsin State Senator Walter John Chilsen has died. Chilsen was a news broadcaster in Wausau and served six terms in the Wisconsin State Senate. He died on Christmas Day at the age of 95. Goetz died Wednesday. He was 92. I am pleased to have the honor of serving as Chair of the Wisconsin Broadcasters Association Foundation (WBAF). Foundation President and CEO, Michelle Vetterkind, provides outstanding leadership for the WBAF. 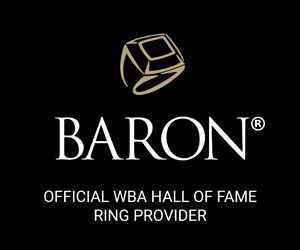 I am happy to report that your Foundation is well positioned to be a strong partner with the WBA during 2019. I hope all is well with you and the WBA! I would like to sincerely thank you and the Wisconsin Broadcasters Association Foundation for the Educational Support Grant grant of $2,500 for the purchase of production equipment that will serve the needs of our Stage & Screen Arts students now and into the future! The WBA Foundation held two statewide political debates in October highlighting the major party candidates in the race for Governor and the U.S. Senate. The Wisconsin Association of Independent Colleges and Universities sponsored the debates. A man who helped to form and guide thousands of students during his 55 year academic and broadcast career has died. Henry Lippold died Saturday at Mayo Clinic Health System in Eau Claire. He was 89.